Every company has to have a set of policies and procedures that both the employees and the employers have to follow. What they do is establish the rules of conduct within the company and ensures that both the employee and the employer understand their responsibilities. These protect both the rights of the employee and the business interests of the employer. But let’s say that you wish to draft new policies for your company. That would mean that you’re going to need a document where you will be able to provide all the information regarding whatever policies or procedures you wish to include or update. So in order to make these documents, you’re going to have to make use of policy templates to help you out. The reason for your policy. You have to place the reason why these policy exists. The policy statement. This has to include the policy’s intent, when the policy is going to be applied, and any mandated actions or constraints. The scope of the policy. Basically, this explains who gets affected by the policies. Definitions. Define the terms that are specific to the policy. Procedures. These are the to be used in compliance with the policy. Forms. These are the documents that are associated with the company’s policies and procedures. Frequently asked questions. These are commonly asked questions regarding the company’s policies and procedures. Responsibilities. This section shows who is responsible for implementing the company’s policies and procedures. Enforcement. The potential consequences and repercussions for violating policies or procedures is stated here. Related information. This refers to any related policies, websites, and documents that can provide supplemental information to the policy. Policy history. It should contain a brief history of any revisions of the policy. Employee conduct. An employee conduct policy establishes the duties and responsibilities each employee must adhere to in order to retain employment. Conduct policies serve as guidelines that employees have to follow to ensure appropriate behavior in the company. This policy would outline things such as the company dress code, workplace safety procedures, harassment policies, and policies regarding computer and Internet usage. Such policies also outline the procedures in which the employers may discipline employers for inappropriate behavior. This would include giving warning notices and terminating employees. Equal opportunities. This is the kind of policy which covers laws and rules that promote fair treatment between employees and employers within the workplace. Most companies implement equal opportunity policies to discourage any form of negative behavior within the workplace. This would include discrimination and harassment that should be prevented through the policy. So basically these policies discourage inappropriate behavior from the employees, supervisors, and independent contractors regarding the race, gender, sexual orientation or religious or cultural beliefs of another person within the company. So if you receive a job warning letter, then that must mean you’ve done something to break the equal opportunity policy of your company. Attendance and time off. Attendance policies set the rules and guidelines regarding employee adherence to their work schedules. With an attendance policy, it defines how employees may schedule time off or how they should notify their manager in the event of an absence or late arrival. The policy should also set forth the consequences in the event that the employee fails to adhere to a schedule. A good example would be that the employer sets a limited number of absences that the employee may incur within a specified time frame. The attendance policy should discuss the disciplinary actions that the employees would face in the event that they go over the number of absences than the company allows. So if you have any attendance issues, then expect the consequence that you’re going to face what’s stated within the attendance policy. Substance abuse. Just about every company has substance abuse policies that prohibit the employees from using drugs, alcohol, and even tobacco products during work hours, within company hours, or during company functions. These policies often outline smoking procedures employees must follow if allowed to smoke within the company’s premises. If your company tests on certain substances, then these policies lay out the testing procedures for suspected drug and alcohol abuse. Social media. Companies have to be very careful when it comes to social media. Nowadays, just about everyone makes use of social media sites and applications. It makes things so much easier to connect with everyone around the world, but that also means it’s easy to share information with everyone as well. Because of this, companies have to implement this policy to ensure that their employees don’t share any information that’s considered confidential. This policy also makes sure that employees behave in social media in a way that’s appropriate and won’t damage the image of the company. So if you’re a frequent user of social media websites and apps, then be sure you go over your company’s social media policy to ensure that you don’t do anything that could lead to terrible consequences. 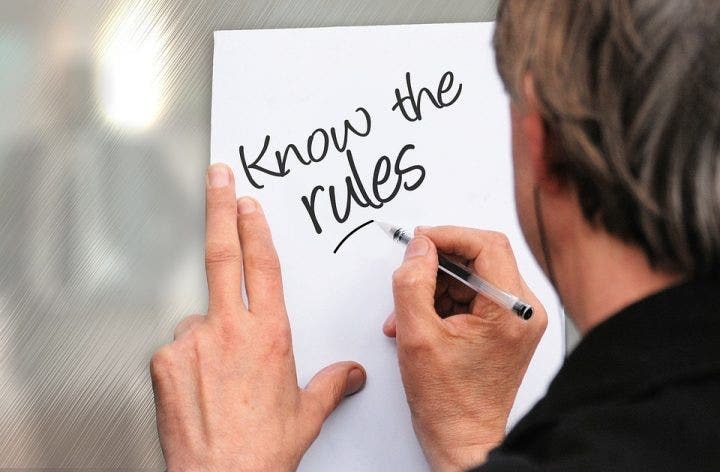 As stated before, the point of these policies and procedures is to ensure that both the employers and employees follow company rules so that order and stability are maintained. So if you would like to learn more about how to make policies, then you may go through our articles to give you the information that you need. We also have templates that can help you make the appropriate policies.